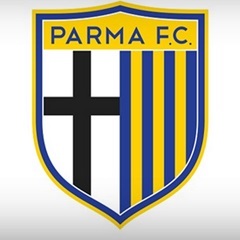 Rome - Parma's chairman was arrested on Wednesday on money-laundering charges, police sources said, deepening the crisis at the financially stricken Italian club which is on the brink of having to stop playing. The arrest of Giampietro Manenti came on the eve of a bankruptcy hearing which could result in the club being wound up and prevented from completing the rest of its Serie A fixtures. Prosecutors were due to give details of the charges against Manenti at a press conference later in the day. The club has already been docked a total of three points this season over its failure to pay players' wages on time. Former president Tommaso Ghirardi and club official Pietro Leonardi were both given four-month bans by league disciplinary officials on Friday. Although there is little doubt that the club is effectively bankrupt, it has been offered a lifeline by the Italian professional football league (Lega), which has offered to lend it five million euros to see out the rest of the season. It is uncertain however that this will be regarded as sufficient: the club is said to be 100 million euros ($113 million) in debt with some 17 million euros owed to the tax authorities. If Parma do drop out of this season's league, all previous results stand and future results are recorded as a 3-0 win to the opposition.